We harness the power of Physiotherapy to change lives. With in-house clinics at all our West, Central and East London Studios, we address the cause rather than just the symptoms of injury or dysfunction to reduce pain, decrease stiffness and increase mobility, and to help our clients become stronger, happier and injury-free. Our physiotherapists are registered with all major Health Insurance Providers (including Bupa and Axa PPP). Find out more and book. "TenPhysio feels like a kind of magic"
We’re here to help you #MoveBetter - by that we mean everything and anything that can impact on your body’s quality of movement and function, whether that’s to do with injury treatment and rehabilitation, muscle tightness, joint mobility, postural alignment (static and in motion) or performance enhancement. For us, posture is the start point of all movement, and our goal is to help you return to natural, effective, functional movement and a healthy, happy, pain-free life. Unlike many Physiotherapy Clinics we believe in a combination of assessment, diagnosis, patient education and hands-on therapy, and we focus as much on addressing the source of an issue as we do on treating the symptoms. Our expert and highly experienced Physiotherapists can create sport-specific programmes to enhance performance, minimise the risk of injury, and help you manage and recover faster from any chronic or sport-related injuries. Depending on your condition and the surgical procedure you’re undergoing, we can create a structured Pre and Post-Operative programme to help your body cope better with the rigours of surgery and recover faster and more fully from it. For anyone looking to stay stronger, fitter, healthier and functionally active for longer, our Physios can create a bespoke Prehabilitation programme to assess/enhance the benefits of your exercise, and minimise future injury risk. 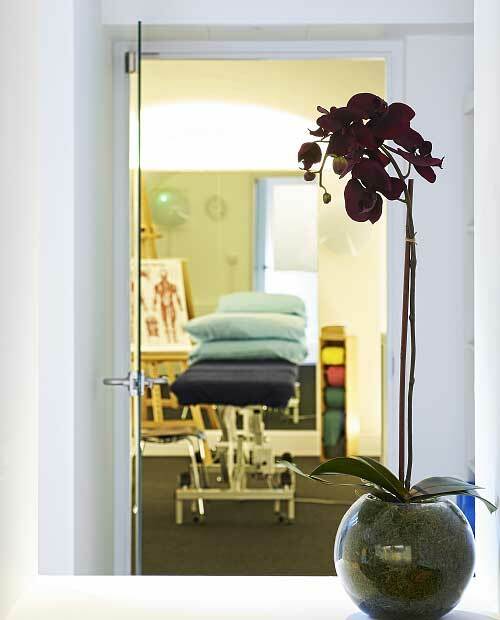 One of London’s leading Physiotherapy clinics, we offer private treatments at Ten Health and Fitness’ premises in Notting Hill, Chiswick, Mayfair, St James’s, Fitzrovia, City, Hatton Garden and Little Venice. Our extensive knowledge of anatomy, physiology and biomechanics enables us to diagnose and treat not only your symptoms, but also the underlying causes of your problem. As a result, we can improve the speed and effectiveness of your recovery as well as helping prevent future re-occurrences. Over 90% of the patients we treat do not require onward referral to a specialist or any kind of surgical intervention. However, we work closely with an extensive network of the best Consultant Spinal and Neural Surgeons/Specialists in London who we can refer to for confirmation of diagnosis, further investigation or intervention (whether as injections or surgery). Where surgery is planned, we receive regular referrals from leading Consultants and Surgeons for pre and post-operative Physiotherapy, enabling us to prepare their patients better for their surgery and to help them recover faster and more fully from it. "I had issues with my neck for 10 years, but the Ten Physio explained the problem and how it could be fixed in a single session"
Our physiotherapists are registered with all major Health Insurance Providers (including Bupa and Axa PPP). Please call your preferred studio to arrange a booking. For us, it’s all about restoring clients’ freedom - whether freedom of movement or freedom from pain - to help them become stronger, happier and injury-free. We are deeply committed to the care and wellbeing of our clients, through the relationships between Therapist and client, the excellence of our treatment, and our ability to deliver effective, lasting results. Unlike many Physiotherapy practices, we combine assessment and diagnosis with hands-on treatment, using a combination of soft tissue massage, mobilisation, manipulation and exercise. And we focus on addressing the underlying cause of the injury or dysfunction, rather than simply treating the symptoms. Unlike most Physio practices, we work collaboratively, rather than in isolation. As part of the Ten Health and Fitness team, our in-house Therapists work closely with Ten’s Trainers and Rehab Specialists to increase both the quality and speed of the client’s recovery and deliver an integrated and unique Circle of Care. We combine diagnosis, treatment and patient education. Our approach is based on the rigorous use of subjective and objective assessment techniques and clear communication of our findings and the resulting treatment and/or rehabilitation approach. We’ll ask you a number of specific and targeted questions about your symptoms – including how they present themselves, any movement restriction or stiffness, and your pain levels - to help us understand the likely cause, and identify any contributing factors. This is followed by a process of objective physical testing and observation (often including slow motion video analysis) to help confirm a diagnosis. Tests are injury specific, and include an assessment of quality and range of movement, strength deficits, and reproduction of pain symptoms, amongst others. Following your assessment, your physiotherapist will explain the diagnosis - not just of your immediate issue and symptoms, but also of any underlying causes. He or she will discuss your injury management plan along with options for getting you mobile, pain free and back to normal as quickly as possible. Many instances of injury and/or pain are the result of biomechanical changes, either caused over time or as the result of increased or abnormal stresses on the body. By analysing the structure, alignment and function of the joints and muscular systems in weight bearing and non-weight bearing situations, Biomechanical Assessment provides a clearer indication of the cause of any issue and enables a more targeted and effective programme of treatment. Using iPads and specialist video applications, our Physiotherapists are able to provide slow motion movement analysis that will identify any faulty movement patterns, enable us to make the necessary alterations to technique, joint stability or muscle strength, and evaluate improvement over time. The human body was designed to stand and move. Instead, most of us move too little, and sit too much, too often and badly. Factor in the debilitating effects of technology on our posture (from cars to laptops and smartphones) and it’s no surprise that posture-related issues affect over 80% of all adults – usually in the form of back and neck pain. A client’s standing or sitting posture is often a key factor in assessing the root cause of a problem. Using a combination of manual therapy, stretching, foam rolling and strengthening, postural correction will often be an important part of a treatment programme. This not only helps take pressure of the injured area and corrects any dysfunction, but also prevents future flare-ups. Poorly set-up workstations can lead to painful and debilitating posture-related injuries and conditions. Simple corrections to the height and angle of your desk, chair and keyboard can massively reduce the risk and amount of stress on muscles and joints. We can assess your workstation, and suggest changes – along with simple stretches and exercises - that will enable any existing injuries or issues to settle, and help minimise the risk and severity of future injury. Developed in New Zealand in the 1960’s, the McKenzie approach to Physiotherapy is a highly regarded and scientifically established programme for the diagnosis, assessment, treatment and prevention of spinal conditions, and the management of neck and back pain. It follows a very strict and safe progression of tests, focusing on the quality and range of movement of a joint or area, and any resulting pain response, to enable the therapist to create a precise, structured and highly effective treatment plan. There are only 5 McKenzie therapists in London. Three of them are at Ten. Ten’s McKenzie specialists: Cheyne Voss, Ant Brightwell and Tristan Pearce. Whether you’re looking to maintain or increase your current exercise regime, or take up a new challenge, your goal will be easier to reach if you’re not held back by injury. A body MOT is fundamental part of a Prehabiltative approach to fitness - a comprehensive, individualised assessment targeting the areas that will be under the most strain from your activities. We can then develop strategies to minimise the risk of injury using techniques such as biomechanical correction and strengthening. A woman’s body goes through a number of significant physical and hormonal changes in preparation for childbirth and again during the months afterwards. Many of these changes can result in pain, dysfunction and increased susceptibility to injury. Our Physiotherapists are highly trained and experienced in dealing with pre and post natal issues, and can apply a number of techniques and treatment options and to help manage any existing problems or help prevent any future occurrences. If you’re suffering with muscular or joint pain, loss of range of motion or stiffness or even muscle spasm, more often than not, it’s one of the joints that is not moving properly. With a number of manual therapy and joint mobilisation techniques at our disposal, our Physiotherapists can improve quality and range of movement, reduce pressure on the nerve, decrease pain, promote recovery and enable patients to return faster to activity (or to a strengthening programme). All manual therapy techniques are preformed following a thorough assessment, and while some post-treatment soreness is usual, you can expect to be able move more freely though the affected area afterwards. A combination of massage and trigger point release to reduce pain and promote healing. The technique focuses on a specific area of muscle, ligament or tendon to lengthen, desensitise or numb the tissue. The application of specific force or pressure onto stiff joints or tissue to allow a greater range of movement. Dry needling is a minimally invasive treatment technique similar to acupuncture, which uses small filament acupuncture needles to release tight, dysfunctional or injured muscles. Dry needling helps to deactivate and desensitise painful trigger points by stimulating a healing response in the treated tissue, releasing the trigger point and reducing the biomechanical stress at that muscle group; allowing for more effective treatment. Evidence-based research indicates that dry needling improves pain control, reduces muscle tension, normalises biochemical and electrical dysfunction of motor end plates, and facilitates an accelerated return to active rehabilitation. It’s also a recommended treatment option for people suffering with chronic low back pain. The oldest documented form of medicine known to man, there are two generally held views on how Acupuncture works. The traditional Chinese view is that it helps free blockages in the flow of Qi energy around the body. The western view is that it works by stimulating the body's own painkillers such as endorphins and enkephalins, and that although initial pain relief may only be short term, repeat treatments can bring long term benefits. Even though there is no overall agreement on how, or why it works, it has been shown to be an effective method not only of relieving symptoms but also of dealing with a problem at its root cause. At Ten, Acupuncture can be administered either as a treatment in its own right, or as part of an overall programme of therapy. Sports injuries are split into two categories – traumatic and non- traumatic. Traumatic injuries are usually the result of impact or accident (sprains and dislocation for example). Non-traumatic injuries are generally caused by overuse or underpreparation – i.e. the body has not adapted for the stresses and demands of a particular sport or activity. Our Physiotherapists are experienced at dealing with both types of injury, and are up-to-date with the latest sports injury research and rehab programmes. All have personal sports interests and experience, and most have specific and extensive experience working with elite athletes. As a result they understand the pressures and frequency of training, and the need to create rehabilitation programmes that are both fast and effective. As most of Ten’s Physios have been active sportsmen and women themselves - several performing or competing at elite level - many also have first hand experience of a wide range of injuries. Stretching can be very important tool to increase flexibility, reduce pain and take pressure off joints or injuries. For optimal results, stretching should be specific and targeted, done at the right time of day and held for the correct duration. Your Physiotherapist will teach you which stretches are best for your problem and how much you need to do. The foam roller is something everyone should own if they sit at a desk for several hours a day, use a phone or laptop, exercise, suffer from sore or tight muscles, have less than perfect posture – or, in short, live in the 21st Century. NB: Done properly, foam rolling will and should be painful - but not unbearable. Most of the up-to-date research shows that almost all injuries require some form of strengthening, loading or stabilisation as part of the rehabilitation programme. Depending on the nature of your injury, your Physiotherapist will create a specific and bespoke programme to help improve the speed and effectiveness of your treatment. They will ensure that you understand the exercises you need to do, can perform them with proper technique and form, and are clear how often, and how many reps of each you should do. Most of these programmes can be repeated at home, either as basic body weight exercise, or using therabands and occasionally dumbells. To help maximise the speed and effectiveness of your treatment, your Physiotherapist will provide you with 2 or 3 specific targeted home exercises. They may include stretches/foam rolling to reduce the pressure on injured tissue or stabilisation/strengthening exercises to improve joint stability and help prevent recurrence of your injury. At all our sites, we have dedicated rehabilitation areas and gyms where your Physiotherapist can go through your exercises or use the well equipped spaces to enhance your overall treatment or injury management programme. At all our London Physiotherapy clinics, we have dedicated rehabilitation areas and gyms where you can work through your exercise rehabilitation, injury management or performance enhancement sessions. Your Physiotherapist will be present to coach you through the techniques, monitor your progress, and adapt specific exercises or sequences as your needs and capabilities change. Much of the pain or dysfunction that results from repetition or overloading injuries (without trauma) is likely to have a biomechanical cause. Certain muscles will be too tight and conversely, the opposing muscles will be too weak, resulting in abnormal biomechanical patterns. Your Physiotherapist will focus on correcting these imbalances - this could involve anything from gluteal strengthening to exercises designed to load the rotator cuff. Rather than simply treating the symptoms, this approach is paramount to addressing the root cause and preventing future recurrence. Posture-related musculoskeletal issues are becoming ever more common - largely due to the prevalence and postural impact of computers, smartphones, laptops and tablets, and our increasingly sedentary 21st century working patterns and lifestyles. If you have pain that occurs while you are seated or inactive, chances are your posture is a massive causative factor – whether due your neck protruding forwards, shoulders rolling forwards or a rounding through the thoracic and lumbar spines. Our Physiotherapists can help you reset your neck and spine to a more natural posture, and show you some simple stretches and exercises to help you keep it there. Despite the name, this is less a class and more a small group session with each participant working on a bespoke programme designed around their specific needs and goals, and guided by an expert Physiotherapist. It can be taken as part of a treatment or rehabilitation programme, for pre/post surgical strengthening, chronic injury management or for many other reasons. A woman’s body goes through a number of significant physical and hormonal changes in preparation for childbirth and again during the months afterwards. Many of these changes can result in pain, dysfunction and increased susceptibility to injury. However with proper management and treatment, the adverse effects of these changes can either be prevented or successfully treated. Our Physiotherapists are highly trained and experienced in dealing with pre and post natal issues, and can apply a number of techniques and treatment options to help manage any existing problems or help prevent any future occurrences - often involving postural correction, stretching, soft tissue treatment and specific strengthening exercises. Unlike the traditional Physiotherapy model where therapists work in isolation, Ten’s Physios work collaboratively with our Sports Massage, Rehabilitation and Training teams. By sharing expertise, insights and client history, we are able to provide clients with a seamless progression from treatment and rehabilitation through to full recovery and functional fitness. And with all the disciplines under the same roof, we’re able to continually monitor and adapt your programme to maximise its effectiveness and help you help achieve your goals faster. Over 90% of our patients do not need to be referred to a Specialist for any kind of surgical treatment. But in the unlikely event that you require onward referral, we work closely with many of the best Consultants, Spinal and Neural Surgeons/Specialists in London. We can refer to them for confirmation of diagnosis, further investigation or intervention, including injections or surgery. Our Physiotherapists are all knowledgeable and experienced in the management of Orthopaedic conditions (including knee ACL reconstructions, Meniscectomies, shoulder reconstructions, decompressions, spinal surgery, spinal injections, post fracture, Hip/Knee replacements and big toe bunion correction). We can work with you through a structured programme to help you prepare for and/or recover from your surgery, maintaining close contact with your surgeon throughout. Counterintuitive as it may seem, they are considered to be surgical procedures, as many require either general or local anaesthetic. These injections provide a relatively short (around six weeks) window of opportunity. During this time, the reduction in pain and inflammation enables your Physiotherapist to improve the range of motion around the affected joint, strengthen the supporting muscles, progress a specific rehabilitation programme and address the underlying cause. Injections into the hip joint are often used more as a diagnostic tool more than a curative treatment, however if they are successful in reducing pain, they also create a similar six week timescale in which your Physiotherapist can work on increasing mobility and addressing the underlying cause. Injections are not common in the knee joint as they are thought to advance osteoarthritis. The better prepared your body is for spinal surgery, the more successful the outcome is likely to be. To that end, we will work with you to create a pre-operative treatment plan that will improve the range of motion and stability of your spine, muscles and nerves. Post-surgical treatment plans are designed to be safe, gentle and progressive, targeting range of motion, neural mobility, core stability and progressive functional retraining. Once you have regained basic stability we would generally advise Pilates, Gym Based Physio and Physio-Led Clinical Pilates for further rehabilitation and progression. We maintain constant correspondence with your Specialist throughout the process. We would always recommend a post-surgical Physiotherapy programme to restore range of motion, maintain neural mobility, improve posture, and for upper back/deep neck flexor strengthening. We keep in constant correspondence with your Specialist throughout the process. The more movement and strength you have going into surgery, the better you will be coming out. Our Physiotherapists can create a pre and post-operative treatment plan to improve the success and recovery time of your surgical procedure, including shoulder replacements, sub-acromial decompression, rotator cuff repair, ACJ debridement, shoulder stabilization (with or without labral repair) and manipulation under anesthetic (with or without hydrodilation). The goal of Physiotherapy following surgery is firstly to restore range of motion, then regain specific scapula stability and shoulder strength (specific programmes will depend on the severity of your condition and the type of shoulder surgery that you have had). Our Physiotherapists can create a programme to help you prepare for your surgery, most commonly focusing on improving range of movement, and increasing the strength and stability of the supporting muscles. Following surgery, your Physiotherapist will take you through a specific rehabilitation programme (depending on the procedure), focusing on restoring the joint's range of motion, increasing your weight-bearing tolerances, restoring gluteal strength and then functional retraining. It is likely that post op, your programme will largely be exercise and gym based. If conservative management of your injury has failed, surgical options include ligament reconstructions (ACL/MCL), meniscal repairs, arthroscopic debridement, tendon scraping or total/partial knee joint replacement. To improve the effectiveness and recovery time of your surgery, our Physiotherapists will create a specific pre-operative Physiotherapy programme, focusing on range of movement through the joint and strength of the supporting muscles (particularly the quads). Following surgery, your post-operative Physiotherapy programme will be about regaining range of motion (extension before flexion), restoring the inner range of the quads and VMO, progressive improvement of weight-bearing and walking, functional retraining and then depending on the patient, high end sports specific plyometrics and sports specific retraining. If you do require surgery, it is important that you have a pre-operative Physiotherapy programme in place, as the more movement, strength and proprioception that you have before the procedure, the better and faster your progress will be afterwards. Depending on the nature of your treatment, the goal of post-operative Physiotherapy is to restore weight-bearing tolerances, get you off crutches, reduce swelling, restore range of motion and build proprioception and strength. Our Physios are some of the best Physiotherapists in London, all are State Registered, have postgraduate qualifications and are members of the Chartered Society of Physiotherapy. Both expert and highly qualified, they're chosen as much for their warm, genuinely caring attitude and positive approach as for their expertise. "TenPhysio are without doubt responsible for getting me back on my feet"
Do you get treatment on your initial appointment? Do I need to see my doctor first? What types of problem can physiotherapy help? Can I pay using my Private Medical Insurance? "I can’t thank the team at TenPhysio enough. I would not be competing again if it weren’t for them." 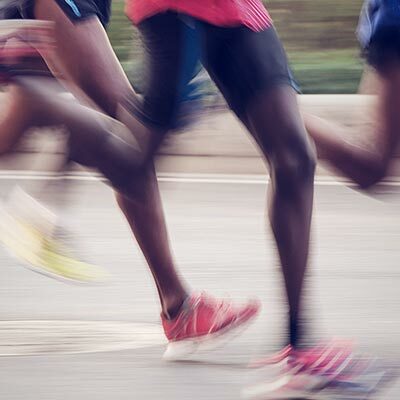 Running Mechanics and the importance of foot strike location, stride length, body positioning and the effects of footwear on your running gait. PREHAB. WHAT IS IT AND WHY DO WE NEED IT? Prehab is way too important to be the exclusive preserve of elite athletes and boutique providers.